Marthe Le Van is intensely passionate about discovering, developing, and promoting good jewelry design. She utilizes her communication skills to advance the careers of designers and the visibility of contemporary jewelry. Marthe’s mother is a watercolor painter and her father is a lawyer. This genetic mashup makes her uniquely equipped to serve the business needs of creative professionals. Marthe is well versed in creative collaborations. She values imagination, innovation, and passion and supports it with the organization, resourcefulness, and determination required to successfully complete goals efficiently and economically. In January 2012, Marthe Le Van launched an eponymous business offering a wide range of custom freelance services for jewelers, publishers, the fashion industry, and arts organizations. Her services are personalized for each client, and she loves working on long- and short-term assignments. As a senior editor for Lark Books (2000-2011), Marthe combined her writing ability, curatorial eye, and promotional savvy to shepherd more than 60 books from abstract concept to marketable product. She established Lark Jewelry as a specialty division of the Lark Books imprint, and built it into one of the most respected jewelry publishers in the world as well as the most profitable division of the company. Marthe served as the senior editor for all jewelry books in Lark’s popular “500” series, including 21st Century Jewelry: The Best of the 500 Series. She was the juror for 500 Wedding Rings and Ring A Day and the curator for Masters: Gold. A sample of the books she’s authored on making jewelry include four titles in the “30-Minute” series (earrings, necklaces, rings, and bracelets), Stitched Jewels, Prefab Jewelry, and Fabulous Jewelry from Found Objects. Marthe edited many significant contributions to our field, including The Art & Craft of Making Jewelry by Joanna Gollberg, The Art of Enameling by Linda Darty, and The Penland Book of Jewelry. 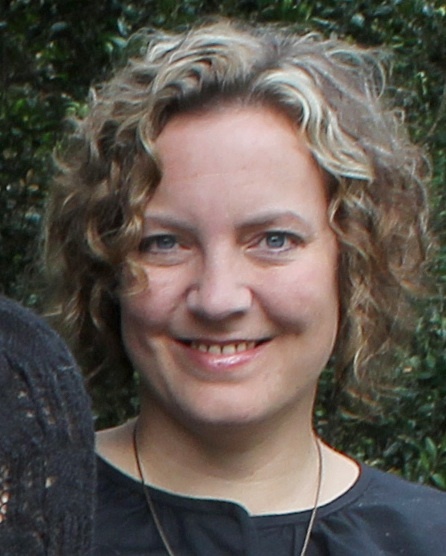 Prior to her work in publishing, Marthe was creative director at Blue Spiral 1 in Asheville, North Carolina (1996-2000). Blue Spiral 1 is a tri-level, 15,000-square-foot fine art and craft gallery owned by legendary arts-entrepreneur John Cram. A significant and beloved part of her job was designing, installing, and maintaining the ever-changing gallery exhibitions. Marthe moved to North Carolina in 1993 after taking her first studio art class ever (lithography!) at The Penland School of Crafts. A printmaking class field trip led her to Littleton Studios and resulted in an impromptu meeting with pioneering glass artist Harvey Littleton. Marthe worked as Harvey’s curator from 1993-1996. She administered his collaborative printmaking studio while representing and documenting his studio glass and antique glass collection. From 1989-1993, Marthe lived in New York City where she worked as a freelance production assistant for television commercials, an assistant to the producer for an Off-Broadway theater, and an intern for an motion-picture casting firm. Marthe Le Van is a 1989 graduate of Sarah Lawrence College, Bronxville, New York, with a B.A. in arts administration and art history. She grew up in Baton Rouge, Louisiana, a fact she’d have reluctantly shared 10 years ago, but one she’s fiercely proud of now. Marthe is a member of the Society of North American Goldsmiths and the Art Jewelry Forum. She has been selected as a juror for the 2012 Philadelphia Museum of Art’s Craft Fair. Marthe lives with her husband Rick Morris in idyllic Asheville, North Carolina. Together they love to travel, discover new music, eat exceptional food, and spend time with family. They care for (and spoil!) two hilarious animals and are the adoring confidants of five exceptional nieces.